If you need professional Sta-Rite Water Booster Pump Repair in NYC, our professional Sta-Rite Water Booster Pump Repair technicians at NY Pump & Motor Repair are ready to help. Since 1941 NY Pump & Motor Repair have been providing high quality Sta-Rite Water Booster Pump Repair in NYC for businesses with a variety of Sta-Rite Water Booster Pump Repair for heating pumps, water pressure boosters and sewage ejector pumps or any other commercial pump type from a variety of the leading pump brands. Whether you need emergency Sta-Rite Water Booster Pump Repair or just looking for a Sta-Rite Water Booster Pump Repair cost, NY Pump & Motor Repair is here for you. With our headquarters located in Brooklyn, our Sta-Rite Water Booster Pump Repair experts can provide prompt Sta-Rite Water Booster Pump Repair in Manhattan, Queens, Staten Island, the Bronx, Long Island as well as the rest of the tri-state area. 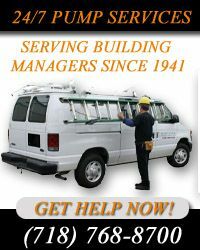 NY Pump & Motor Repair is a leading Sta-Rite Water Booster Pump Repair provider for Home Depot, Lowes and WW Grainger. Trusted by the big guys you can be rest assured that NY Pump & Motor Repair will provide Sta-Rite Water Booster Pump Repair in NYC to meet and even exceed your expectations.